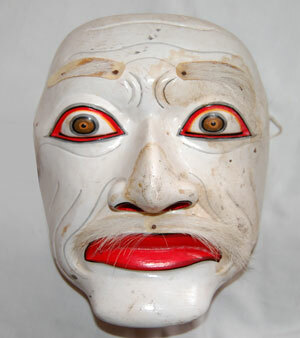 Where is this mask from? 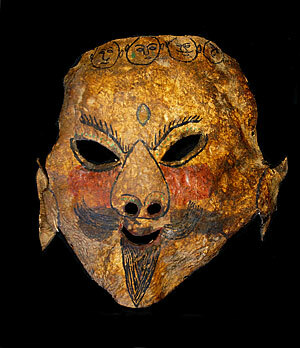 A: This is a mystery mask. 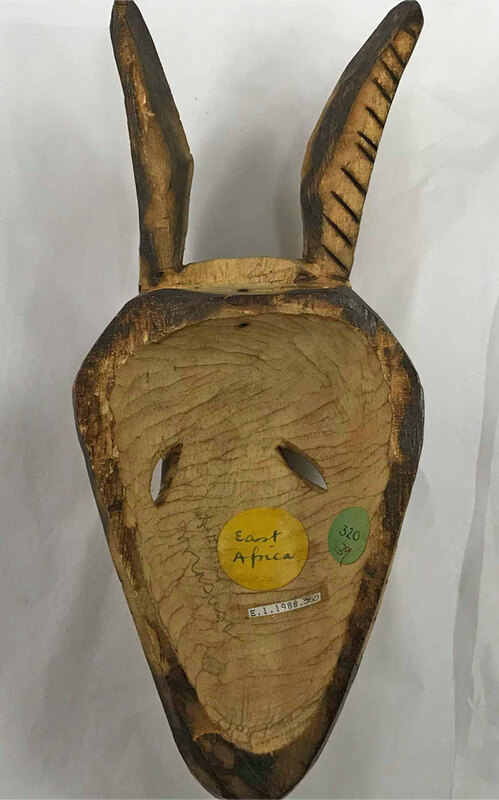 It is labeled “East Africa,” but I doubt if that is where it is from. Though it has a primitive look, this wood carving has been quickly made with steel carving tools and a branding tool. It’s probably made for sale to tourist. The question is “where does it come from?” If you have any ideas, please make a comment. Let’s help Tara. This is either from Mexico (most likely) or Guatemala. It’s just a tourist carving. Hi Randy, this object has been in the collection since 1930.. would that still be a tourist object? And if so any ideas where I could find out more about it? 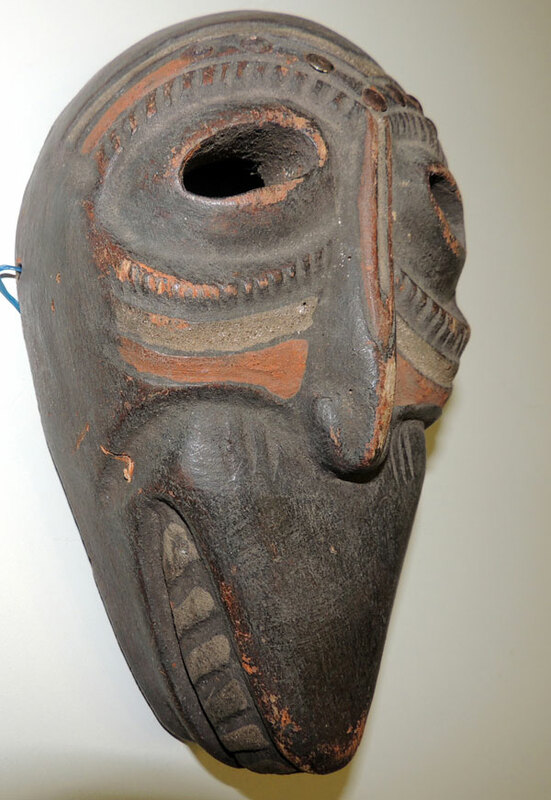 Tourist masks have been made in many countries since the late 19th century. I would not rule out Mexico, or much of South America either. 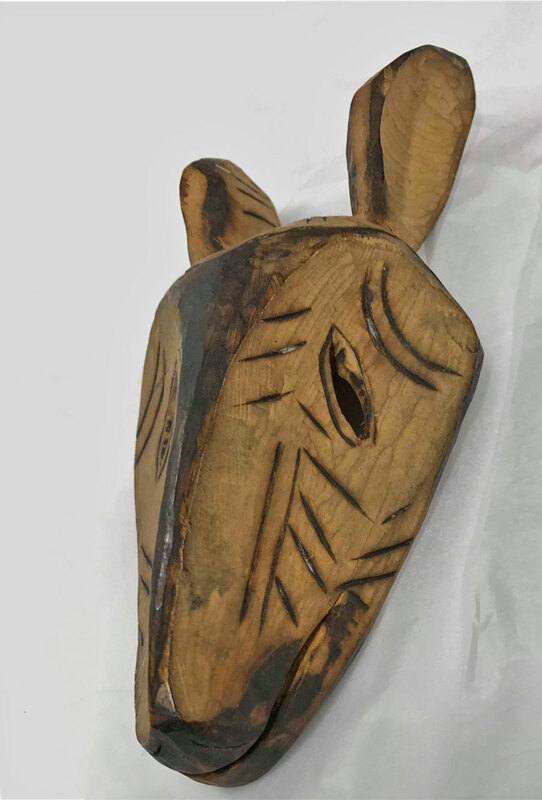 There are Indian tribes that have been making tourist souvenirs since the 1890s.